Child Focus, Inc. is a leading provider for early childhood, behavioral health, and foster care services for youth and families in the Southwest Ohio region. We are seeking an inspired and dedicated Classroom Aide. 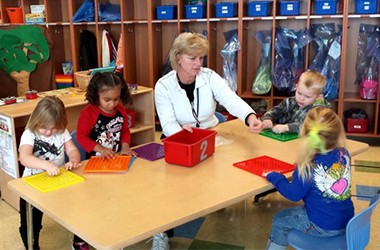 Classroom Aides assist the Teachers in a wide range of instructional assessments and positive behavioral support strategies to ensure educational excellence in our classrooms serving children birth to 5 years of age. Aides supports the classroom and is responsible for helping with the day to day tasks and the active supervision of children. They work collaboratively with the teacher, family members and other staff to achieve positive outcomes for children of all abilities. They assist with the daily activities in the classroom including meals, light cleaning and the needs of the infants and toddlers. The ideal candidate is knowledgeable in child development, flexible, dependable and has the ability to work well with others. Child Focus, Inc. provides excellent fringe benefits, mileage reimbursement and company car program. At Child Focus, Inc. we strive to exceed the highest standards, show compassion for our customers and provide quality services through collaboration, responsive programming, and servant leadership. We provide and embrace opportunities for personal, professional, and agency growth. Our team values, trusts, respects, and supports each other. The mission of Child Focus, Inc. is to join with communities in strengthening the quality of life for children, families and adults.